Experience a unique travel experience which will offer you the most attractive panorama routes in Switzerland with the Grand Train Tour. 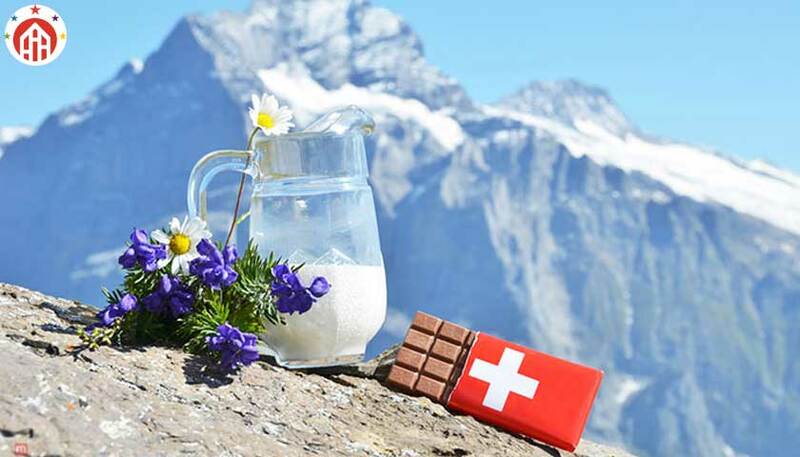 The entire tour can be undertaken with the convenient Swiss Travel Pass, which means that you can start the tour from any city and travel at your own pace. Just make sure that you reserve your seat in advance on board special scenic trains. 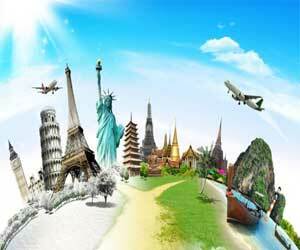 To help plan your trip in Switzerland we have suggested 4 itineraries, which last between 4 to 8 days. Experience one or all of them to uncover dazzling gems. During this four-day itinerary, you will get the chance to discover some of Switzerland’s most popular destinations. From Lucerne, the gateway to central Switzerland to the tropical south of the country, you will experience a wonderful time, especially on board the GoldenPass train. From North to South with a detour to the west of Switzerland, this four-day itinerary includes the trendiest and most cosmopolitan Swiss cities. This itinerary includes breath-taking panoramic views and a stop at the highest altitude railway station in Europe. 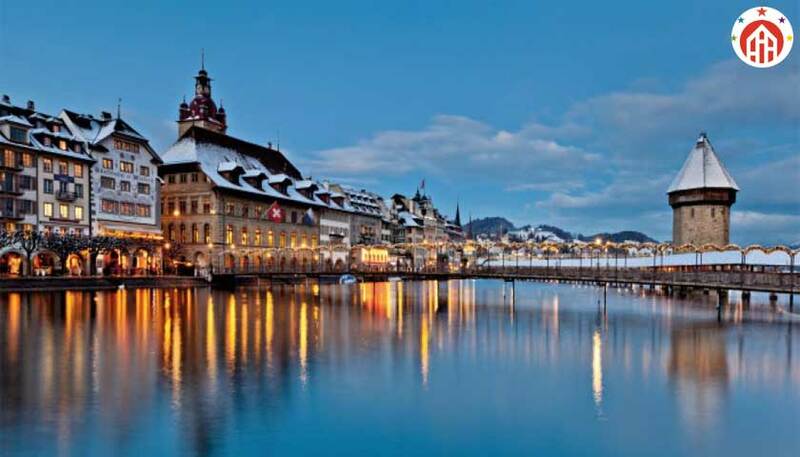 Spend four days to discover famous and exclusive destinations in Switzerland. The highlights are cities like Montreux, located on the Lake Geneva, and Interlaken, located with in the dramatic settings of the Alps. If you want to do it all, then try this complete eight-day itinerary. You will get the chance to visit main cities of Switzerland, discover the country’s natural beauty as well as travel on the famous GoldenPass Line, Glacier Express, Bernina Express, and Wilhelm Tell Express. You can select the starting point and duration of the Grand Train Tour of Switzerland as you wish – depending on your mood and the time available. Be inspired by our suggestions for 4 or 8 days. Grand Train Tour of Switzerland in 8 days. 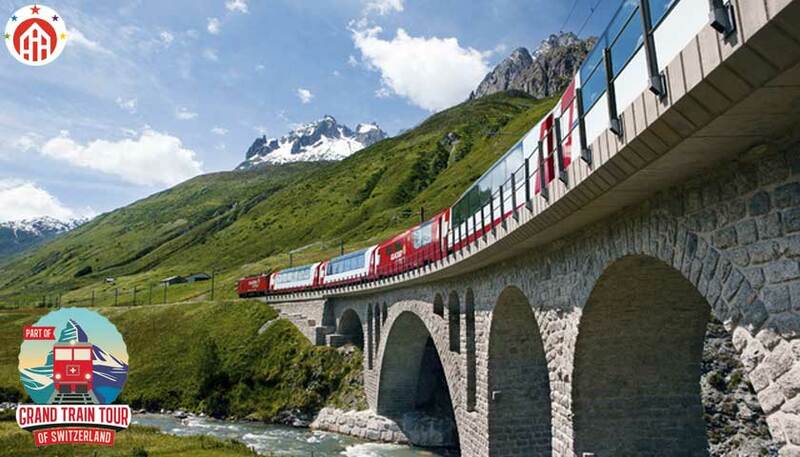 Reservations for: Luzern – Interlaken Express, Glacier Express & Bernina Express. Reservations for: Luzern-Interlaken Express, Jungfraujoch & Golden Pass. We have selected some exciting and not-to-be-missed places for you. You can combine your Grand Train Tour of Switzerland with the selected excursions below. Located in the northeast of Switzerland, Mount Säntis offers a breathtaking 360-degree view of the Alpine region. The Säntis can be seen from kilometres away and stands as the most imposing landmark of the Lake Constance region. The Titlis (the only glacier in Central Switzerland) provides panoramic views of the surrounding snow-capped summits and unspoilt Alpine landscape. The trip to the top is by the Titlis Rotair – the world’s first revolving cable car. ✔ Excursion tip: Jungfraujoch – Top of Europe. The highest-altitude railway station in Europe is located at 3454 metres, amid a high-Alpine wonderworld of sparkling snow and ice extends as far as the eye can see. ✔ Excursion tip: Gornergrat (Zermatt). For the finest views of the mighty Matterhorn, take the trip by cogwheel railway from Zermatt to the Gornergrat. The observation platform located at 3131 metres offers a spectacular vista. Don’t miss the chance to visit Europe’s highest viewing platform. 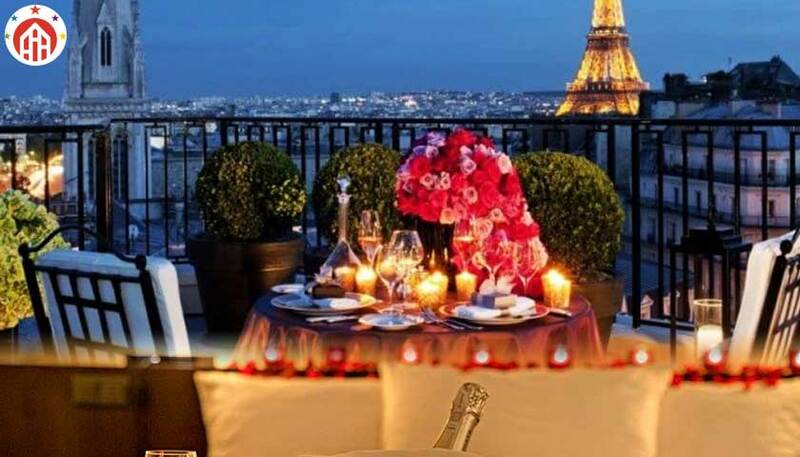 From up there, you will even be able to see the famous Mont Blanc. So hop on the cableway and enjoy your ride to the summit of the glacier. Located in Switzerland’s Italian-speaking Ticino region, Lugano has a perfect mix of is Swiss and Mediterranean cultures. Discover is beautiful lakefront and relax at a table in onf of the city’s squares. Discover one of Switzerland’s most popular excursion point and viewing platform. Grab the chance to ride on-board the world’s steepest cogwheel railway. The Mount Pilatus is not to be missed! Famed for being a typical hiking mountain, Mount Rigi is located between the three lakes of Lucerne, Zug and Lauerz. Rigi is also famed for its wonderful sunrises. While you are there, try the new Rigi-Kaltbad mineral baths for spa treatments amid the legendary rocks and stones. The optimum ticket for your journey on the Grand Train Tour of Switzerland. Please reserve your seats on the panorama trains prior to travelling. You can make the bookings quickly and simply by telephone or online. Ensure your place now for comfortable travel on the Grand Train Tour of Switzerland. For sections of the route, such as Zurich–St. Gallen, Voralpen Express, Montreux–Zermatt and Lucerne–Zurich: seats cannot be reserved – free choice of seats. Experience an unforgettable day on a mountain trip along the Grand Train Tour of Switzerland.